This bit of baking was inspired by my glut of, rather oddly shaped, courgettes in my tiny little veg garden. Having sewn the seeds and transplanted the seedlings before I headed out of the country for a few months, I was amazed that so many of them survived! Thankfully my house-mates did as promised and watered the plants as often as they could. After a couple of hours of tidying up and weeding I managed to get my little kitchen garden back on track. As a dedicated cake fan and a member of the Clandestine Cake Club I went about setting up a cake club in Yangon, and to my delight I found a lot of other cake-eating friends wanted to join in too! For the second event we had twinned with my original cake club, CCC Manchester Central, and held a joint event. 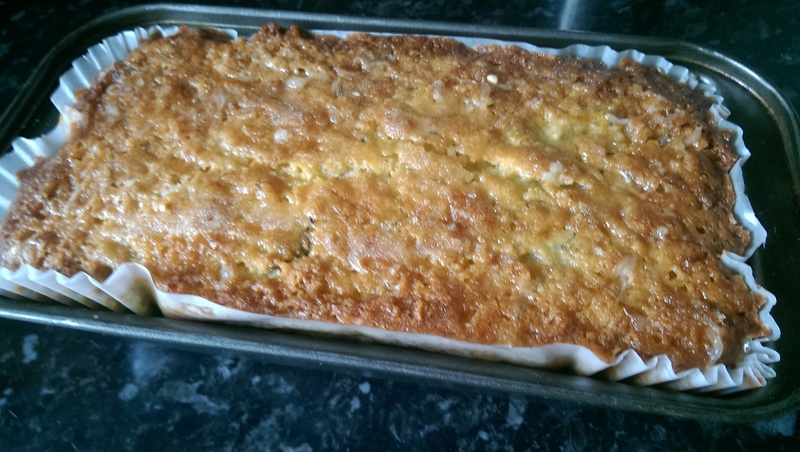 For this event I made a ‘Courgette and Lime’ cake which turned out quite good considering I hadn’t made it before! So with some lemons in the fridge and a couple of huge home grown courgettes, I set about making a cake destined for the bellies of some family members who are currently visiting from Hong Kong (the motherland!). What better way to welcome people than with a home baked cake? 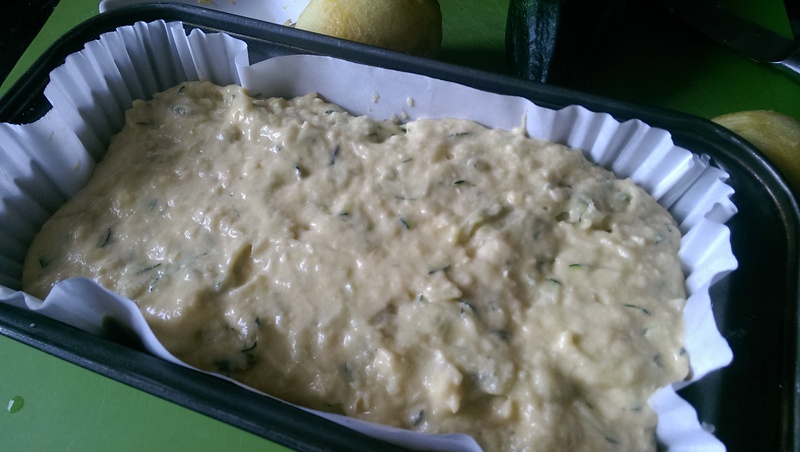 Pour the batter into a lined 2lb loaf tin and bake at 160 degrees C for about 50-60 minutes (or once a skewer stabbed through the cake comes out clean). Check it at 45 minutes just in case you have a super duper efficient oven! Allow the cake to cool in the tin for a few minutes, in the mean time make the lemon syrup by thoroughly mixing the icing sugar and lemon juice. Use your skewer to poke wholes all over the cake and slowly drizzle the lemon syrup all over, trying to get as much into the holes as possible. Leave the cake in the tin until it is fully cool. 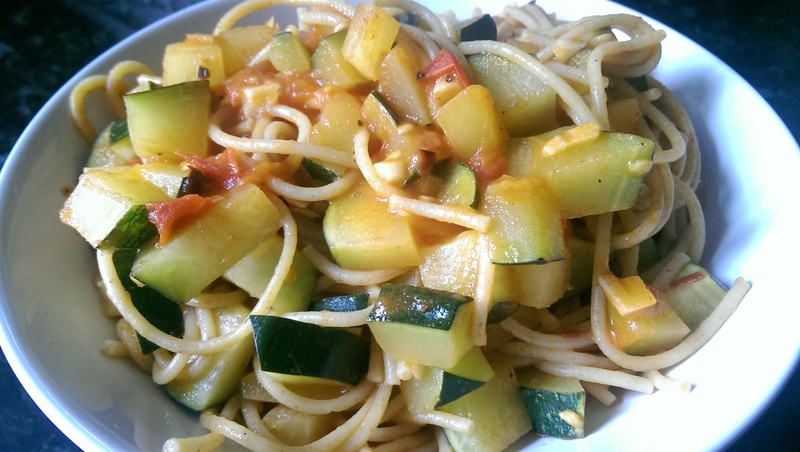 As I didn’t want to waste the second courgette I decided to chop it up for my lunch. One vegetable (or is it a fruit because it has seeds?!) and two completely different recipes!